Clutter was affecting so many aspects of my life. I was constantly feeling anxious and stressed. I was sick and tired of opening a drawer and searching for something instead of finding what I was looking for right away. If this sounds like how you are feeling then you have come to the right place. Even if you aren't anxious because of the clutter in your house, but you want to be a little more at peace in your own house. Or if you feel like the house is full of stuff that you don't use or love. Maybe you don't even know what are in all the boxes in the basement. If any of this is you and you want to make changes so you don't have to live with all this STUFF then let me help you. I did a decluttering challenge last year with quite a few of my readers and it was such an eye opener to me with how much clutter affects lives. 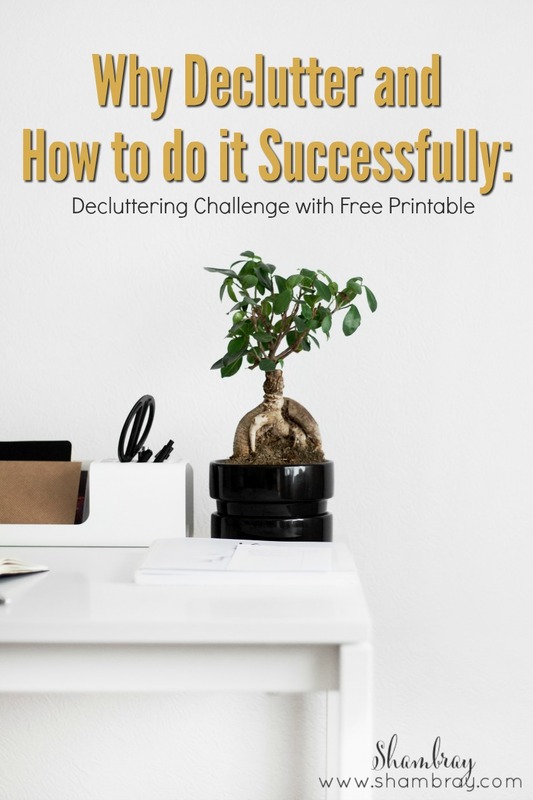 The people that joined me on my declutter challenge (that I set up for me) were constantly saying how much it changed their lives and their thinking. I was so happy to help so many people and while doing it with them and for myself I learned a lot about how to make this successful. So do you want to do it too? Is this year the year you will get in control of your home and your clutter? Let me help you put together a plan with all the information I learned from completing this challenge myself and helping 100's of others do the same thing. 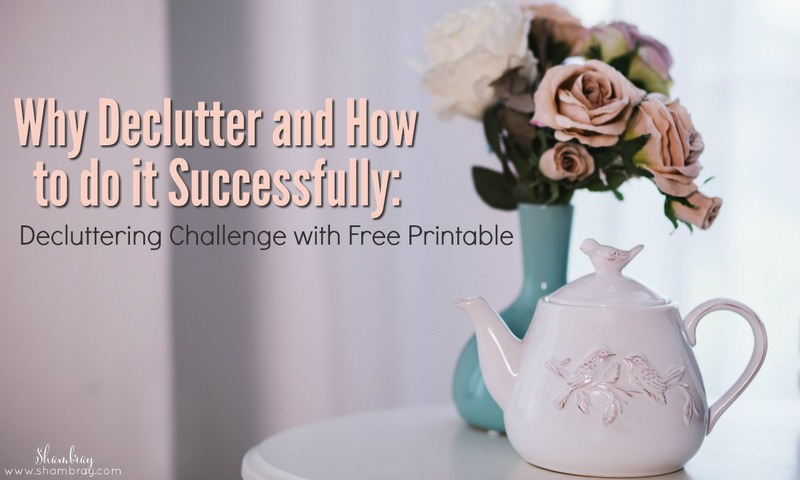 This challenge is inspired by the book, The Life Changing Magic of Tidying Up. I wrote a whole blog post about it and it is a must read. So when I reference the book now you will know what I am talking about. The challenge is simply to go through your house, top to bottom, left to right, in 6 months or less. It is important to not drag out the process longer than that. This way you finish before you have time to go back to the "old way of thinking". This challenge will change your perspective and way of thinking. The big thing to do is take everything in that category and put it in a huge pile on the floor. This can be very eye opening. You might really find out how much you have in a category when you do this. It will also make it easier to go through the items one-by-one. The main concept is easy. Keep only what makes you happy, or as the author says, "brings you joy". You will have to keep some necessities that might not bring you joy (medication is an example of that). Just try to focus on what makes you happy and keep those things. Check out the rules below to get started and always know that I am just an email away to help you! Also, make sure to download a free printable checklist of all the items you need to go through. This will help you not forget any part of your home. During the challenge I did for myself, I took 2 truck loads this big to a donation center and many, many more small car loads. 1. DO NOT THINK ABOUT PUTTING ANYTHING AWAY UNTIL YOU HAVE PURGED. Once you discard a category then you can put back. -This might seem dramatic, but you don't want to base your decisions on what to keep and not keep because of how much space you have to store things. 2. 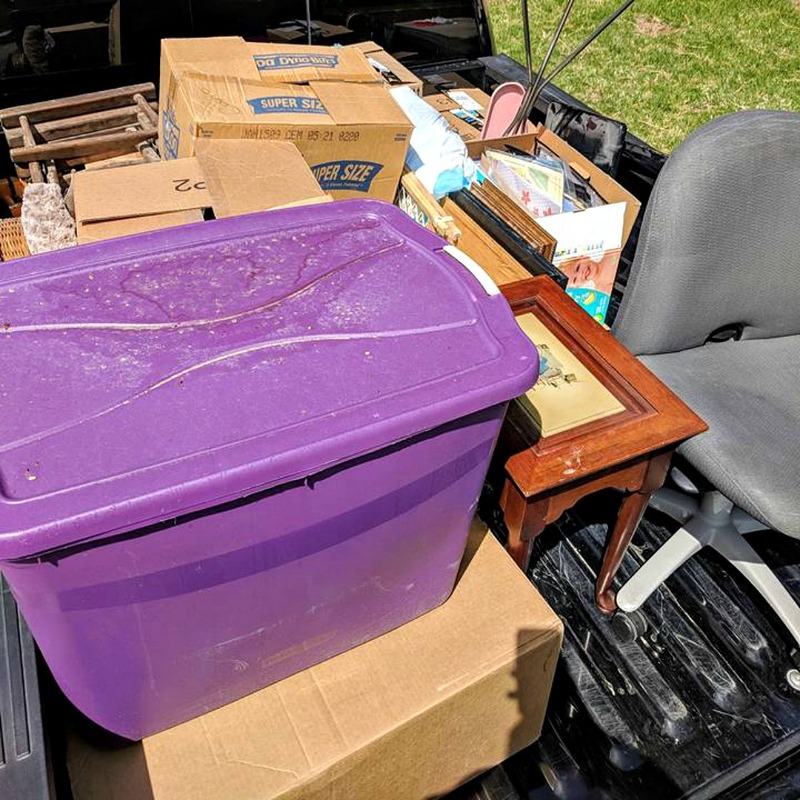 Do not ask family members or friends if they want your items that you are getting rid of. -You are getting rid of this stuff to free yourself from chaos and clutter, why would you want to put family and friends in a hard situation of saying no or even if they think they want it then they have to deal with where to put it. Unless you specifically know that you are getting rid of something that one of your friends or family members is in search of then don't ask. Please! 3. Set a day each week to bring anything that needs to be donated to the donation site. If you want to do more than once a week then that is fine, but at least once a week. You need to get this stuff out of your home ASAP. In her book Konmari she says that sentimental items are the hardest thing to go through. This is universally the hardest category for people to declutter. It makes sense because we have a lot of memories and attachment to these items. So if you can "hone" in your decluttering skills on easier items then you will be a pro by the time you get to the sentimental items. With that said it will not be EASY, but hopefully you will have the mindset and the skills to think through each sentimental item. I put together this challenge for myself (and a group of listeners that wanted to join me) and I am so glad I set it up to do sentimental items last. This post is just one post in a series of blog posts. If you want more information then check out the following categories that I go into more detail in other blog posts. I am so excited for you to love your home more than you do now.